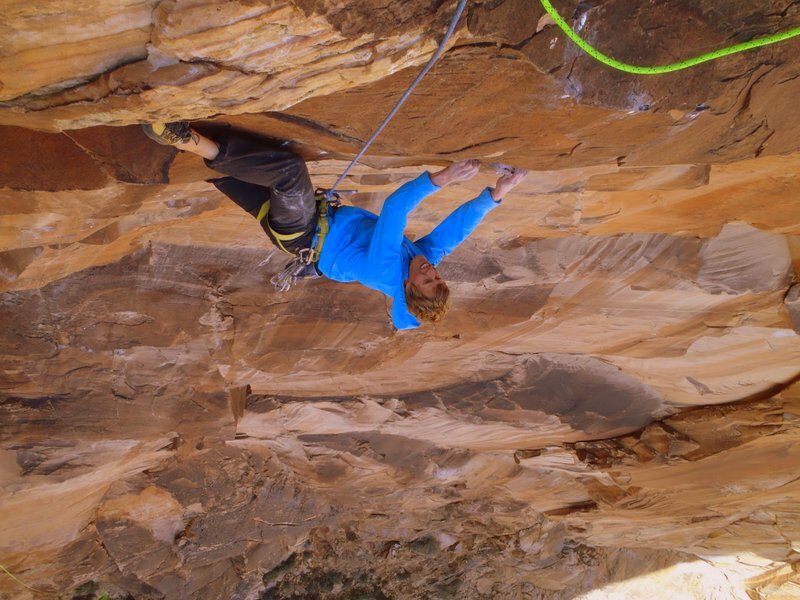 As the spring winds begin to howl through the southwest, the window for winter crags closes and warmer weather drives climbers towards shade and elevation. 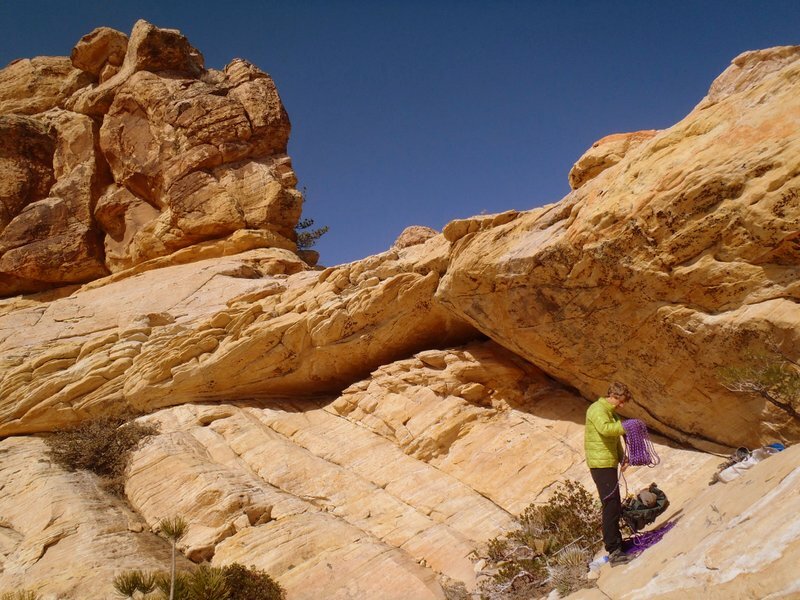 Red Rocks, Nevada holds walls of all angles and spans a wide range of elevations, allowing comfortable climbing for much of fall winter and spring. In mid-March Nik Berry, a friend based in Salt Lake, called me up to check out a route at Red Rocks. 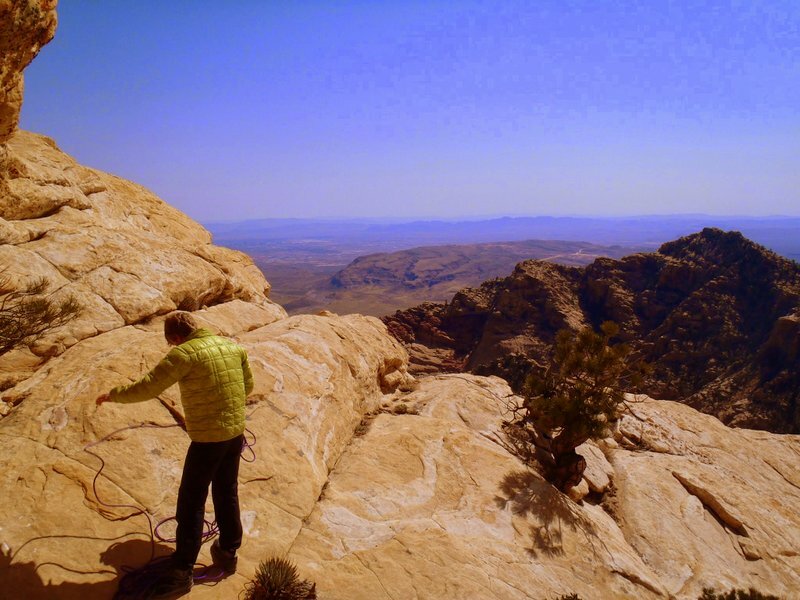 Spring Break from nursing school provided Nik with a window of time to project one of Red Rock’s best and hardest climbs. 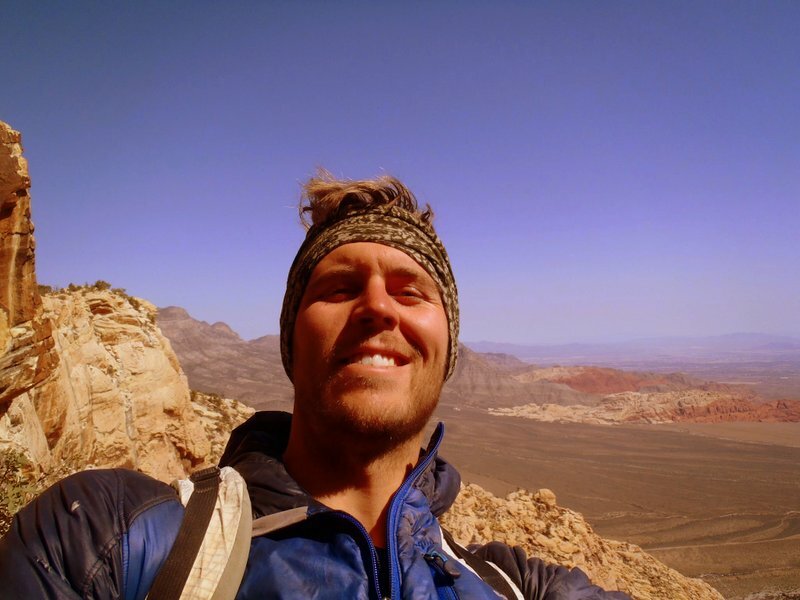 I hadn’t heard of the route nor climbed in Red Rocks in over a year, so I was keen to join him for a few days. Perched high above Icebox Canyon, the steep and stunning Buffalo Wall towers over Red Rocks, and Crystal Dawn blasts up the overhung center of the wall. All I knew about the climb is that it was hard, steep, and clean. On a Friday afternoon, I pointed the van west and set the hyperdrive to Sienna Warp 3, and in a few hours I pulled in to Dave’s house, where I crashed for the weekend. That night was a fun time catching up with friends and making new ones. Saturday morning’s start was not exactly of the alpine variety. The wall sees sun until noon, and conditions were perfect in the shade, so we slept in and rolled out around 9:30, giving time for the bumpy drive and steep hour-long approach. We racked up in a cave set above the Buffalo wall and rappelled the route, arriving at the base just as the last rays of sun left the wall. 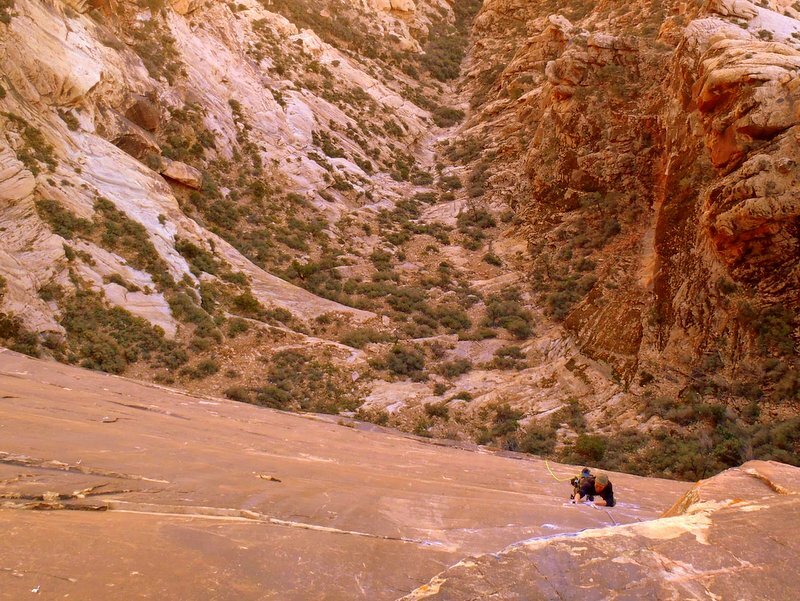 The route follows beautiful features through an improbable overhanging wall, offering enough holds and quality rock to produce fun and difficult climbing. Spring winds swirled across the wall as we climbed, cooling the rock and our skin and providing perfect friction. After working out the beta on the difficult pitches in the days before I arrived, Nik was primed and ready to redpoint the route. Conditions were perfect Saturday, and Nik styled it, sending every pitch while I experienced each for the first time. The climb breaks down into eight pitches beginning with a long 5.12a and a short and varied 5.13a leading to the crux pitch. Shooting straight through the steepest part of the wall, the 5.13c crux follows crisp edges to a exposed and gymnastic roof traverse. 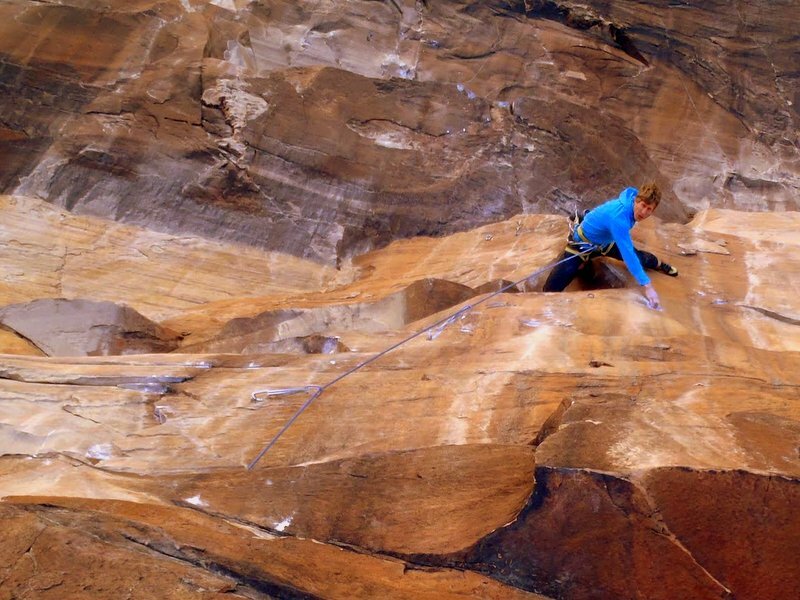 After pulling the roof on the crux pitch, the hard climbing is all but over. 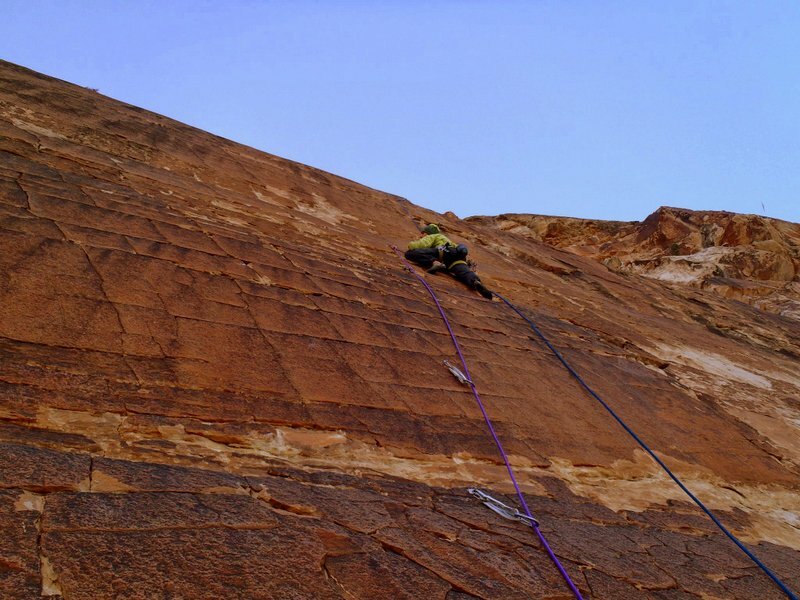 A crimpy traverse on square-cut sandstone edges leads right then up to form a classic 5.12+ crimping pitch. Guarding the moderate finish of the route is a 5.13a slab pitch, requiring precision footwork and faith in the power of sticky rubber. Varied angles and movement on incredible rock had me hooked, and as we finished the route, we decided to return the next day to climb it again. I was excited to try send more of the hard pitches and test out my own beta, as I climbed many of the cruxes totally different than Nik due to our difference in height. After hiking out after dark under a full moon, we celebrated our success and Nik’s send with a barbeque at Ben and Mandy’s house. When Ben and Mandy barbaque, they don’t mess around. As Ben and Mandy are vegan and don’t drink, it was a meat and booze-free barbaque…. that is until Nik, Dave, and I showed up. Chicken Kabobs and some celebratory beers added to the delicious vegetable feast. 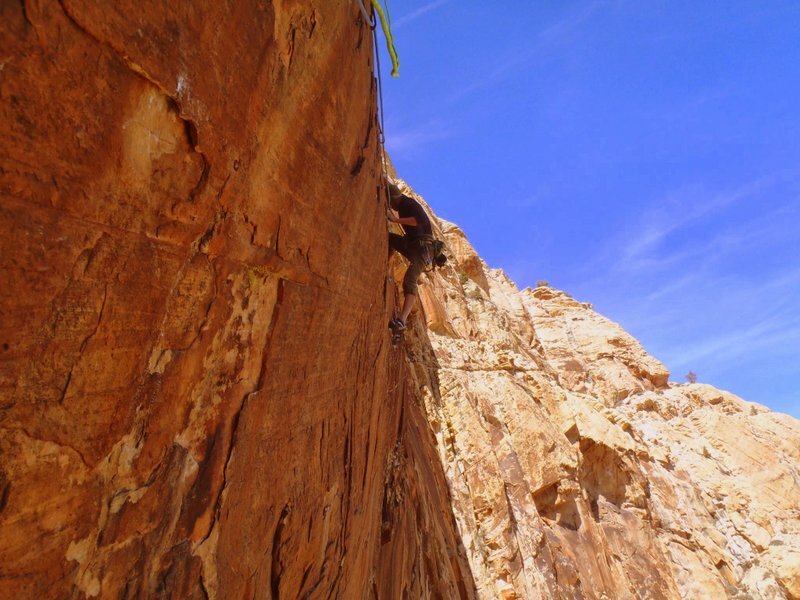 Nik and I returned to the route the following day and my efforts to free the crux ended in blood pouring from four fingers as my skin split open on the sharp edges. We climbed the rest of the route, enjoying each pitch as we cruised back up to the summit. I planned to drive back to Flagstaff and Nik had to get back to Salt Lake by Monday morning, so we packed up quickly and made our way down. The Crystal Dawn mission with Nik reignited a lot of climbing passions for me. I’m really excited to climb more at Red Rocks, free big routes, and find challenge and adventure no matter where I’m climbing. Thanks so much to Nik for the great experience and inspiration. 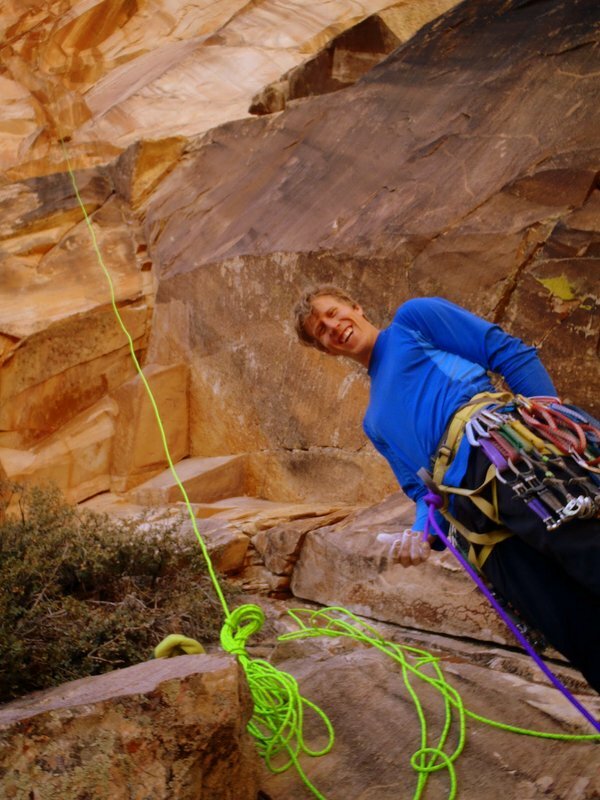 Thanks to Dave, Ben, and Mandy for the hospitality, and Alex, Stacey and the great climbing community in Vegas! This entry was tagged Bluewater Ropes, La Sportiva, Mad Rock Climbing, Nik Berry, Outdoor Research, Red Rocks Climbing, Sterling Ropes. Bookmark the permalink.